In December, Richard M. Daley became Chicago’s longest-serving mayor, surpassing the late Richard J. Daley’s record of 7,916 days in office. Between father and son, this pair has governed the Windy City for 43 of the past 55 years. And now, there’s a Daley at the White House … Richard’s brother, William, is the president’s new chief of staff … a job that opened when Rahm Emanuel decided to run for mayor of Chicago. Here’s a look at three men and a Midwest political dynasty. Democratic Chicago mayor Richard J. Daley speaking from a podium at the 1976 Democratic Convention in New York City. He was one of the most powerful Democrats in the nation — a veritable kingmaker. When John F. Kennedy considered running for president, his father, Joe, first sought Daley's blessing. Robert Kennedy said later during his own presidential campaign: "Daley is the ballgame." He ruled the city from his first term in 1955 until his death in 1976. Daley didn’t tolerate dissension, and discussions were notoriously terse. According to The Chicago Tribune, during City Council meetings, Alderman Leon Despres, a perennial Daley opponent, would often have his microphone shut off midsentence. In August 1968, Chicago hosted the Democratic National Convention, meant to showcase the city’s achievements to the world. But the mood was tense, heated by Vietnam protests and the recent assassinations of Martin Luther King, Jr. and Bobby Kennedy. Confrontations between protesters and police turned violent, with upsetting images broadcast on national television. 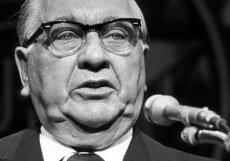 When Sen. Abraham Ribicoff, in his convention speech nominating George McGovern for president, decried what he called the “Gestapo tactics in the streets of Chicago,” TV cameras caught Daley on the floor angrily gesturing and yelling at Ribicoff. Daley is credited with sparing the city from some of the economic woes that plagued other Midwest “Rust Belt” cities. Major construction during his terms in office resulted in O'Hare International Airport, the Sears Tower, the University of Illinois at Chicago campus, and numerous expressways. Chicago Mayor Richard M. Daley arrives at the White House for a state dinner on Jan. 19, 2011 in Washington. 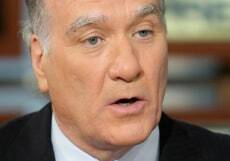 Former U.S. Secretary of Commerce William Daley speaks during a taping of "Meet the Press" on Nov. 23, 2008 in Washington. 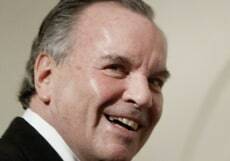 Trading one Chicagoan for another, President Barack Obama selected Daley to be the next White House chief of staff as Rahm Emanuel leaves to throw his hat into the Windy City mayoral ring. “Needless to say, Bill also has a smidgen of awareness of how our system of government and politics works. You might say it is a genetic trait," Obama said, referencing the family’s political legacy. Daley helped craft successful campaigns to elect President Bill Clinton and was named commerce secretary in 1997. Daley was most recently Midwest chairman of JPMorgan Chase & Co. A Democratic centrist, Daley now serves as a liaison to business in a White House that has faced criticism from some as being anti-business. While Daley is soft-spoken, "he has all the toughness of the Daley family, and then some," said William Galston, a longtime Daley associate and now with the Brookings Institution, a liberal-leaning think tank.